The “Endgame” is upon us. Marvel is rounding out phase three of their egomaniacal plan to shove superhero movies down the American public’s throats for the foreseeable future. “Avengers: Endgame” will be an astounding three hours and two minutes long – and will likely be the end of an era where main characters in the universe will certainly die in the movie – leading us into phase four. Many amazing behind-the-scene stories happen when such a gravitational force like a Marvel movie is filmed. 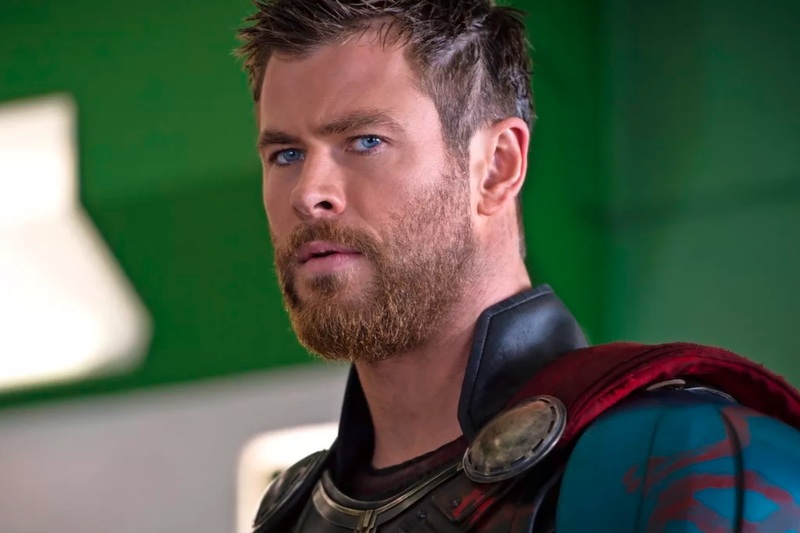 And one behind-the-scenes stories that Chris Hemsworth told about something that happened on the set of “Thor: Ragnarok” was simply unbelievable. It’s a good estimation to say that most people love movies. Whether you grew up watching old westerns, zombie movies, action adventure, science fiction, superhero or the plethora of other genres that have existed since the conception of filmmaking, there is something for everybody. But let’s consider that you don’t like movies. Maybe you just don’t care. What you positively can’t ignore is sometimes actors really have a positive impact on children. The Make-A-Wish Foundation is a wonderful organization that grants wishes to sick or terminal kids – and sometimes adults – to live out one last fantasy. One of the greatest and emotional ones was when an entire city banded together to let a kid live out his fantasy of playing Batman. You can watch the trailer for the documentary of this extraordinary event here. Careful, it’ll probably make you cry. It’s one of those eternal questions that doesn’t have a precise answer: whether life imitates art or does art imitate life. Only a fool wouldn’t understand that both are simultaneously true. Chris Hemsworth joined Robert Downey Jr., Paul Rudd and Scarlett Johansson all joined “Jimmy Kimmel LIVE” this week to promote “Avengers: Endgame” this week. And Hemsworth told a story about “Thor: Ragnorak” that was truly shocking. If you’re familiar with the movie then you’d know that it wasn’t only the funniest line in the trailer; it was the funniest line in the whole movie. And a Make-A-Wish receiver wrote the funniest line in the whole movie? In the meantime, all of these Marvel actors do some extraordinary work in the community. They constantly visit Children’s hospitals wearing costumes and take pictures with enthusiastic kids. If for a moment that it brightened their day then it’s an amazing gesture. Chris Pratt goes out of his way all the time to visit children’s hospitals. In fact, several years ago when the Patriots faced off against the Seahawks in the Super Bowl when Russell Wilson threw an interception on the goal line instead of handing the ball off to Marshawn Lynch – effectively giving the Patriots the game – Pratt and Chris Evans made a bet. Pratt (Seahawks fan) and Evans (Patriots fan) bet each other that whoever wins would have to show up in their full Marvel costume at a children’s hospital of their choice. Pratt lost obviously but the amazing thing was that not only did Pratt comply with the consequences of the bet – and not only did Evans also show up with him – but they both went to both of their selected Children’s hospitals. Again, that’s extraordinary. Sometimes celebrities can be wonderful people.